Sourdough bagels. Buttery croissants with salty prosciutto and nutty Gruyere, topped with sesame seeds. Tender cinnamon buns with fresh, toasted pecans. Moist orange, olive oil and almond cake. All of these are perfect examples of the fabulous treats available at the great bakeries of Portland, Maine. I started at the Scratch Baking Company in South Portland. 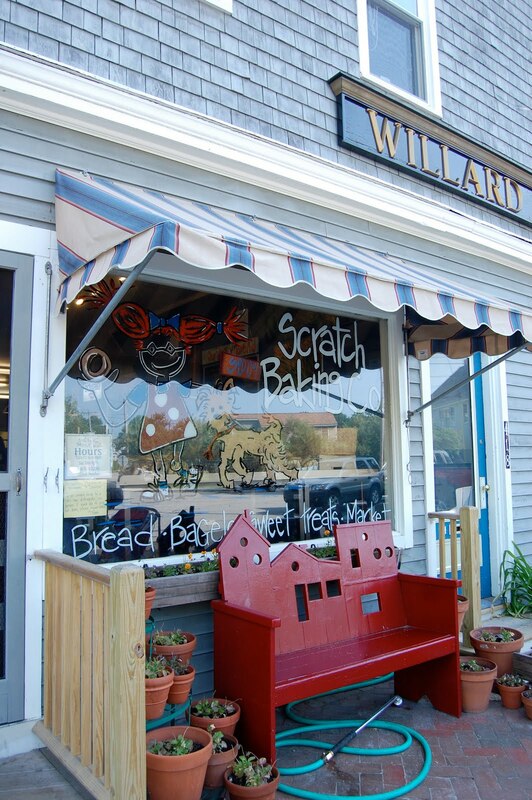 It has limited seating, but Scratch makes up for that with a range of great treats. Customers made a bee line for the bagels. Doughy, tangy from a long ferment, and completely covered with toppings, I quickly understood the passion for these bagels. The salt bagels were the best I have had with just the right amount of salt to bagel itself. Scratch also offers bread, and so many different baked goods. I tried a perfectly delicious strawberry-rhubarb cookie, as well as the olive oil cake. Just a few blocks away, 158 Pickett Street focuses on two things: bagels and bagel sandwiches. On this trip, despite many recommendations of customers, I skipped the sandwich and headed for the bagels. They were thinner than those of Scratch, but more nuanced, too. Their everything bagel is better than any I have had, with so many sunflower, sesame and fennel seeds that you could barely see the bagel! And while this place was more minimalistic, they had seating inside and out. On the edge of downtown, Portland, Two Fat Cats has many appealing elements. You walk directly into the kitchen and can watch bakers decorating cakes. Next time I will be trying out their blueberry-rhubarb pie (pictured at the top of this post) and those fabulous looking cupcakes. But on this trip, I focused on their cinnamon buns. And they were hands down the best I have had. Just a perfect ratio of gloppy, sweet, cream cheesy frosting to dough. The nuts are done with a heavy hand-and I mean this in the most positive sense. But my favorite savory item? The croissant filled with prosciutto imported from Italy. The sesame seeds alone were a perfect twist. I also bought a loaf of their Organic 5 Grain Maine bread. This bread makes an nutty grilled cheese that much better. 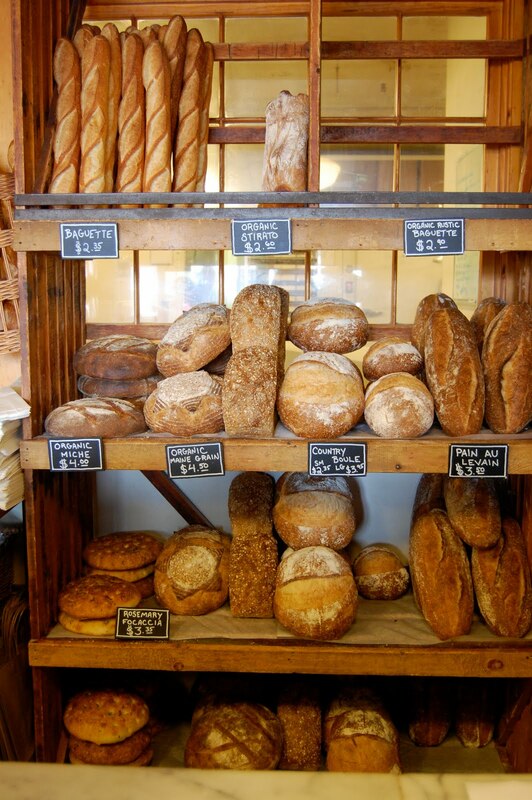 Their levain is the result of a long ferment and their miche combines rye and wheat flour.